Lawn aeration is most ofte n recommended for older lawns that have developed problems with thatch. However, even young lawns benefit from lawn aeration. Aeration improves drainage, increases grass health, builds up drought resistance and prevents turf diseases. The hot, dry summer of 2012 left many lawns in Ann Arbor MI brown and crisp. The reason behind so many distressed lawns does not lay solely with the weather. Compacted clay soils prevent proper root development. The same is true for soil in high traffic areas. In these growing environments roots are unable to penetrate packed soils. The result is shallow rooting. During times of significant drought, shallow roots are unable to reach deeper water sources. However, turf roots are able to penetrate and grow deeply in loose soils. The deeper the root penetration the more resistant the turf is to drought. Grubs are beetle larvae that feed on turf and cause significant damage. The 2012 drought increased grub populations in Ann Arbor MI because the lack of rain weakened turf root systems and made them susceptible to grubs. If you are interested in curbing grub populations without using pesticides, then you can increase mowing height, encourage deep rooting provide fertilizers and water during dry periods. As mentioned earlier, aeration promotes deep growing roots. Aeration can also be benefit those choosing to use pesticides because loose soil allows better chemical penetration. There are 83 distinct soil types in Washtenaw County. In Ann Arbor MI soils range from sandy loam to clay. If you notice pooling in your yard or yellowing grass, then it is likely you have clay soils. Clay soils are made up ofsmall particles that are easily compressed creating a dense surface that is difficult for water to penetrate. 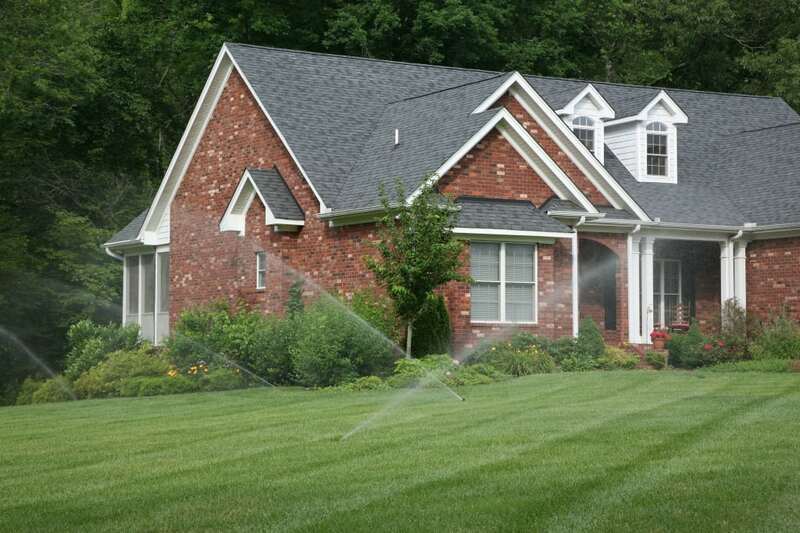 Pooling water drowns your lawn and can be responsible for yellowing. 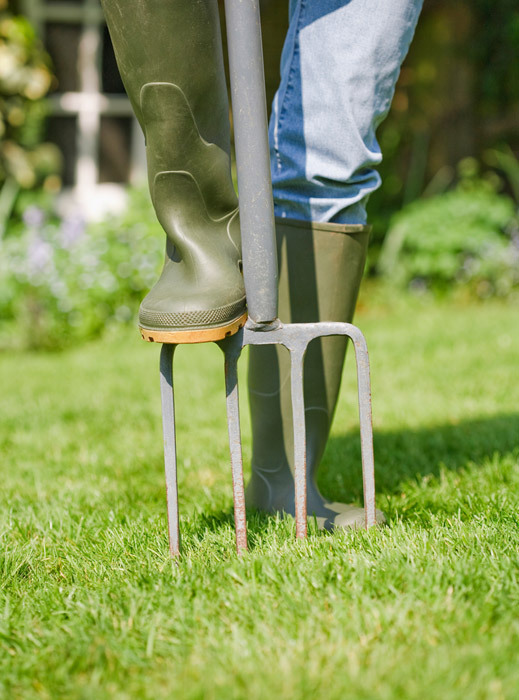 During the aeration process, plugs of soil are pulled from your lawn providing drainage outlets. Worms are natural aerators. Although worms improve compacted soils by tunneling through them, worms won’t inhabit severely compacted soils. Aerating a lawn initiates the development of a habitable worm environment. Once worms get into a turf’s soil they will continue to improve and aerate it. Some common turf types found in Ann Arbor are Kentucky bluegrass, perennial ryegrass, tall fescue, and fine fescue. Fungal diseases like red thread, slime mold and dollar spot tend to infect fescues but lawn experts have seen it in Kentucky bluegrass. Fungal diseases are commonly caused by excess moisture that builds when lawn soils are compacted. Other causes of fungal infection are weak roots and distressed grass. Improving drainage and increasing turf strength decreases the risk of fungal disease. Aeration is one of the best ways to encourage deep rooting turf and to discourage disease, distress and pests. If you need lawn aeration services performed contact Twin Oaks today.